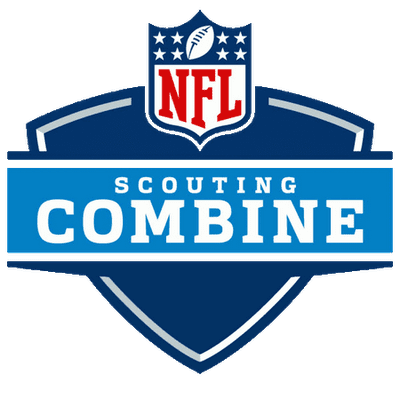 The long wait is finally over, and fans now have the opportunity to watch their favorite NFL teams take the field for another exciting season. One reason many fans are even more excited for this season is that many have finally been able to ditch cable without losing access to their teams. One way to do just that is to watch NFL games on PlayStation Vue. In this guide, we’ll go over how to stream NFL on PlayStation Vue, so that you can finally kiss your expensive cable provider goodbye. PlayStation Vue is a service that lets you watch live TV over the internet, without cable TV. Depending on the package you choose, you will get anywhere from 45 to 90+ channels, with prices starting at $40 a month. No contract is required, so you are free to cancel at any time. Vue works on most devices – streaming players, mobile devices, and of course PlayStation consoles. We have a detailed PlayStation Vue review if you’re interested in learning more. To learn how to watch NFL on PlayStation Vue, keep reading. Tune in at game time, and enjoy the action! Those are the basic steps, but we’ll go over more info about football on PlayStation Vue in the guide below. What Games are on PlayStation Vue NFL Coverage? ESPN streaming for Monday Night Football every week, plus news/analysis. 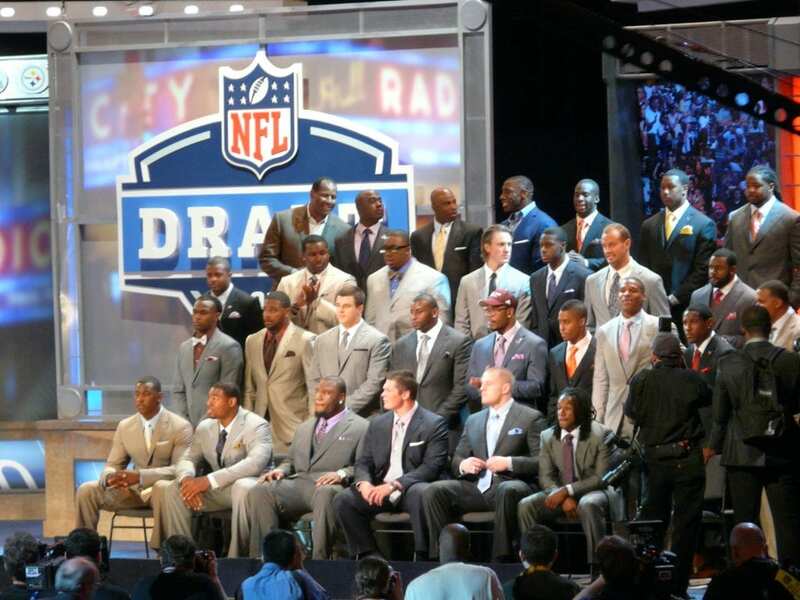 NFL Network streaming for Thursday Night Football games, plus news/analysis/replays & more. NBC, CBS and FOX streaming (in select areas) for Sunday Night Football and local g games each week. These networks are only available for live streaming in some areas. 50+ other channels – including AMC, TBS, FOX NEWS, CNN, ESPN2, FS1, TNT, and many more. Check out the full NFL schedule to see which days you can stream NFL on PlayStation Vue. What Device Do I Need to Stream NFL on PlayStation Vue? 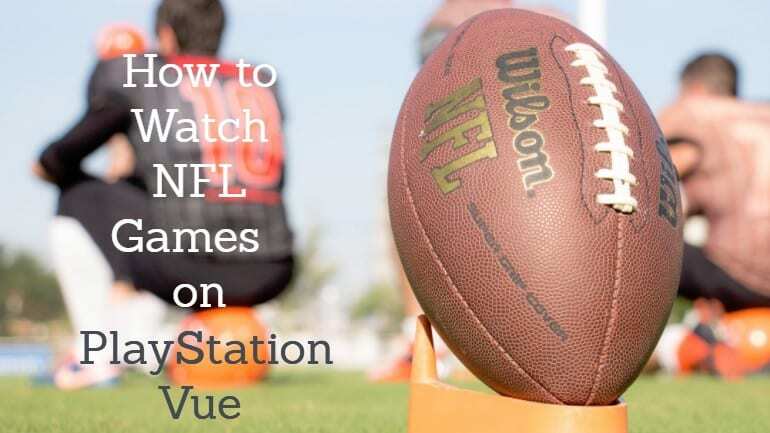 Note that while you can use Vue on mobile devices, you typically cannot watch NFL on PS Vue via your mobile devices, because of NFL streaming rights. But you can still watch at home on streaming devices, PS4s, etc. Can I Watch NFL on PlayStation Vue for Free? You sure can – but only for 5 days. Vue offers a free 5-day trial to all new members, which is a great opportunity to explore the service and see how you like it. After that, you’ll pay month-to-month, with packages starting at $40 a month. There is no contract, so you can cancel whenever you want. If you have any questions about how to watch NFL games on PlayStation Vue, just leave a comment and we’ll get back to you. You can also read through our PS Vue review to learn more.